Carl Lomen was married to Andrew Volstead’s only child, Laura. Carl J. Lomen, Laura Volstead’s husband. 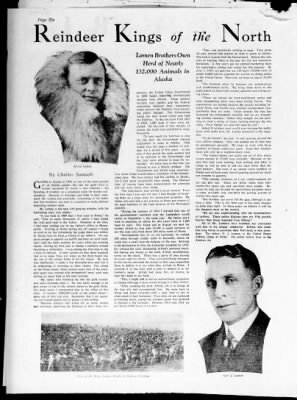 Carl J. Lomen earned the title of “The Reindeer King” for his unstinting efforts in organizing, promoting, marketing, and lobbying for the reindeer industry, which was primarily a Lomen venture physically located in Alaska’s Seward Peninsula. 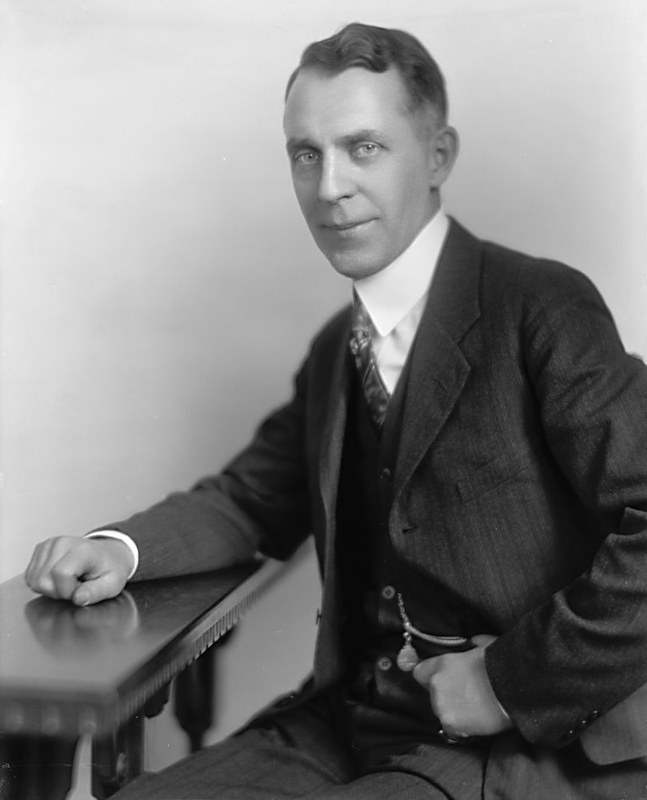 Traveling widely to attain his objective, Carl J. Lomen frequented both Alaska and points in the continental United States extensively; his friends and business acquaintances were worldwide. His interests were broad and diverse, as reflected in his files, and his records are both those of a businessman, and those of a man involved in social and cultural matrices. From a herd of less than 9,000 head of reindeer, the Lomens created an industry of over 250,000 head of stock. Numerous corporations and subsidiary units were created to complement the reindeer interests of the Lomen family, and to facilitate the raising, processing, and marketing of reindeer. In addition to the Alaskan development of the reindeer industry, Carl J. Lomen was active throughout the U.S., promoting the marketing of reindeer meat, lobbying for favorable meat tariffs, and advancing the business interests of the various Lomen corporations. Through this activity he earned the title of “The Reindeer King”. The Lomen interests in the reindeer industry were ultimately frustrated by the U.S. Government’s purchase of non-native held herds in 1940.